Intake Air Temperature (IAT) sensor is built into the Mass air flow sensor, you can try to clean it with Mass air flow sensor cleaner before doing anything else and reset the engine light. Help us improve AutoCodes.com. Leave a comment below or tell us if the information above help you fix the code. 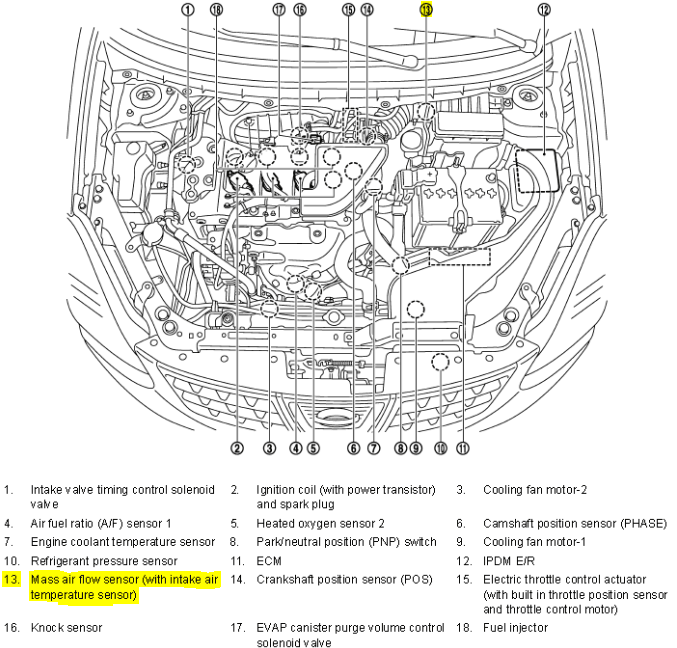 What are the symptoms on your vehicle for the P0112 2008 Nissan Rogue code? Have you replaced any parts?